On the far left, notice John Brown who died around the age of 42 from pneumonia. Then in the middle we have Bessie Smith who died at the age of 86 from the flu. That's not really a bad run, if you think about it, especially considering they didn't have seat belts or gluten free bottled water back then. On the right is the conundrum: poor Tom Ham, who died from murder. While you're probably thinking: "Finally! Something awesome and spooky," you might want to stop and notice that Tom Ham was killed at the age of 96. Who kills a 96 year old? Was Grandma trying to teach me about mercy killings at a young age? Someday in the future, I imagine historical revisionists will probably look back at this picture and anachronistically claim that Tom Ham was the victim of a Soylent Green styled government death panel. 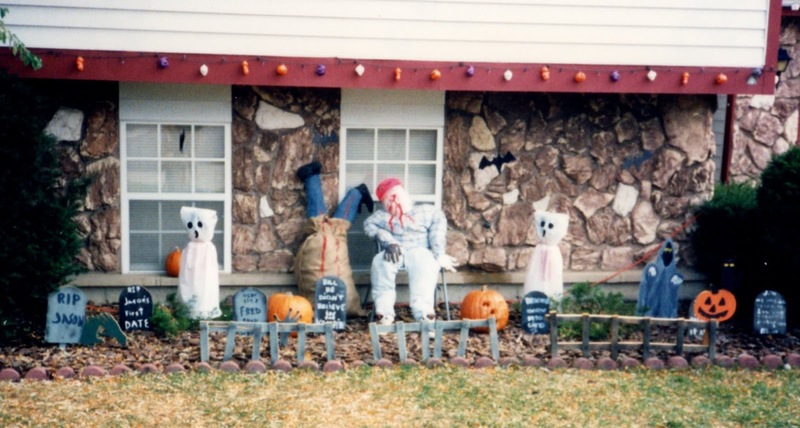 "RIP Jason"- He was the preeminent Halloween serial killer around my neighborhood. Anyone who was cool owned a hockey mask, just because. "RIP Jason's First Date"-Does this gravestone fit at all into the established Friday the 13th canon, or do we need some major retconning to make it work? I'm not really a Friday the 13th fan (I've seen the first one) so I'll need some help here. "Here lies Fred, cold and dead"- That's pretty succinct. "Bill- he didn't believe in the vampire" This one's mysterious--was he specifically killed because he didn't believe in the vampire? If Bill had believed in the vampire, would he still be alive and kicking today? This stone really asks more questions than it answers, kind of like Lost. 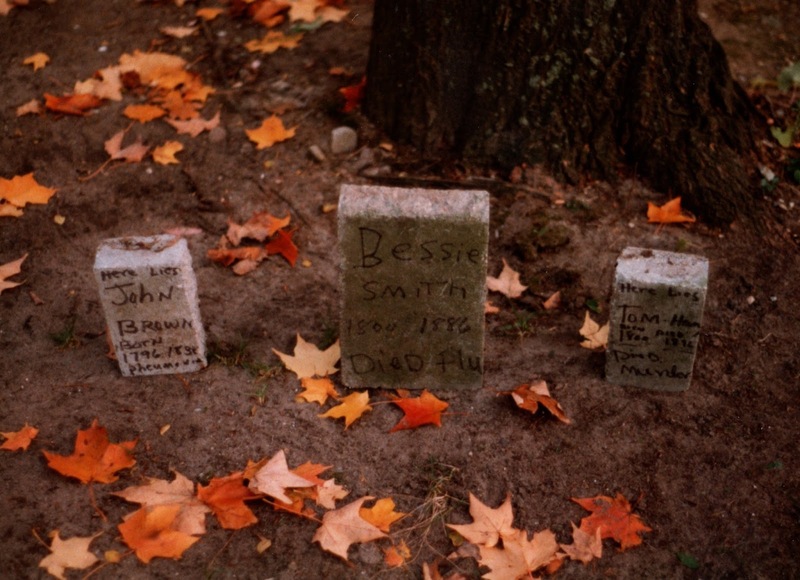 I don't remember growing up next to Damon Lindelof and having him help me make fake gravestones, but I could be wrong. "Dracula; Born 1430, Died ?" Pretty impressive accuracy, since a cursory search of Wikipedia reveals that the real Dracula (Vlad) was born in 1431, and this gravestone was made years before Wikipedia existed to check that fact. Maybe my dad and I actually did some real research when making these? Anyways, better get working on your fake gravestones!!  Send in pictures of your favorites to thepicreview@gmail.com and I'll post my favorites sometime before Halloween! Barbecue17's gravestone will say: Here lies Barbecue17, and why not? Great take on Halloween, I'm looking forward for more!